The township of New Ebenezer was founded in 1736 by Lutheran Salzburgers seeking a place of religious freedom. 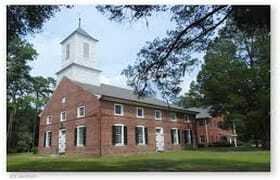 Historic Jerusalem Lutheran Church was completed in 1769, and still has worship services today as the oldest Lutheran church in America with a continuously active congregation. Ebenezer became the first capital of Georgia and John A. Treutlen, a member of the Jerusalem congregation, was the first governor. The Mars Theater is a community supported entertainment hub, offering a variety of events for adults and families throughout the Coastal region. 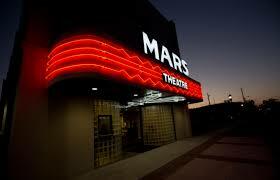 A historic landmark-turned-high-tech venue, the Mars boasts a unique blend of music, film, and performing arts. Known as a historic railroad town, has a picturesque Main Street and its neighborhoods are surrounded by natural wonders and a thriving downtown commercial center. 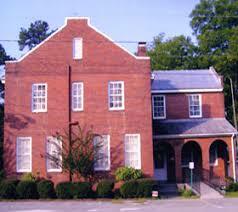 Guyton was an affluent town by the time of the Civil War, and the Confederacy built a hospital in town during the war. Every December, residents decorate the town and host a holiday tour of homes, attracting thousands of visitors. The Guyton Walking Trail extends .75 miles from the red caboose located just north of 3rd Avenue to the existing concrete Pilgrim Park walking trail at Simmons Street. The landscaped trail is located along a portion of the abandoned corridor of the Central of Georgia Railway and is used for both recreation and transportation, as well as utilizing the spacious rail trail as the site of the community's annual 'Sale Along the Trail' event. To learn more about Guyton click here. Located in the Old Effingham Jail. Historic Effingham Society opened a one room museum in 1994. With donations and hard work from volunteers, the museum now includes 2 floors in the jail and the Living History site which includes 10 buildings.